The modification of age group categories to bring them in line with International Association of Athletics Federations (IAAF) rules is among the proposals for the 2016 UK Athletics (UKA) rule book. 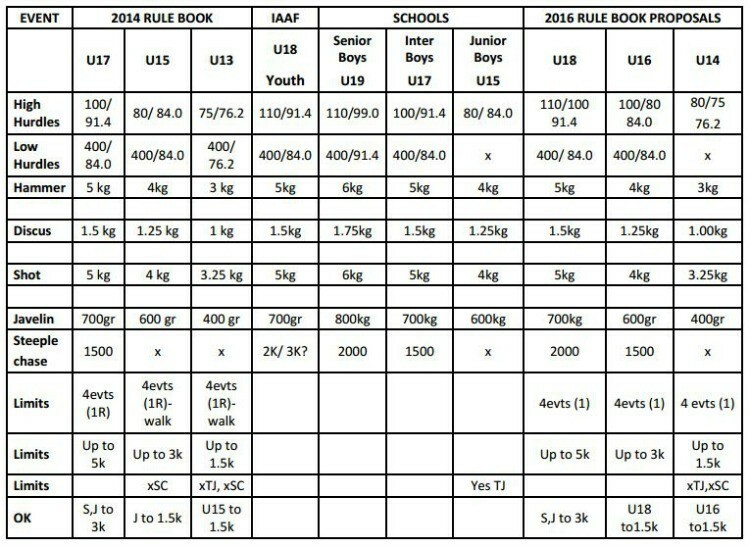 UKA is to adopt the IAAF rule book from April 1, 2016, with any exceptional remaining domestic rules set to be merged with this. 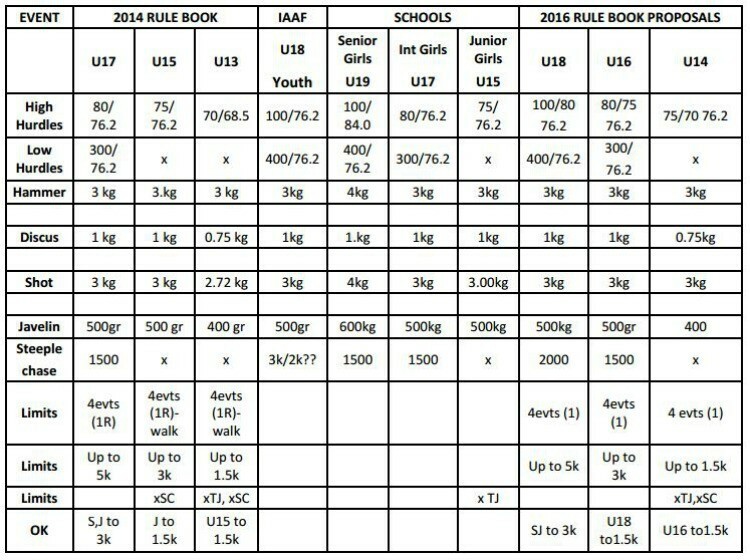 The age group consultation concerns whether the adoption of the IAAF rule book should include changing UKA age groups from the current under-20, under-17, under-15 and under-13 categories to the IAAF’s under-20, under-18, under-16 and under-14 categories. The impact the proposed age group changes would have on hurdles, steeplechase and throws specifications is detailed in the below tables which are available to download in a proposed age group changes document available here. As schools competitions are separately managed, there would be no changes planned for that structure. Other points relating to age group records and best performances are addressed in a ‘Questions and Issues’ document available to view here. The consultation period for age group change proposals began this week and will end on May 29, 2015. The deadline for other rule change proposals is July 27, 2015. Associations, regions, counties, districts, clubs and authorised competition providers are among those able to submit feedback on the proposed changes, but what are your thoughts? Share your views with Athletics Weekly by sending us a tweet @AthleticsWeekly, popping a post on Facebook or adding a comment below this post.